Mercedes is all set to bid farewell to its GLK models with the all new Mercedes Benz GLC 2016. The new series offers luxurious interior with a sportier yet elegant design theme and yes not to be forgotten, better power options beneath its hood. 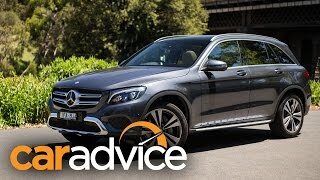 Let us have a closer look at the review of Mercedes Benz GLC 2016 to know more about it. 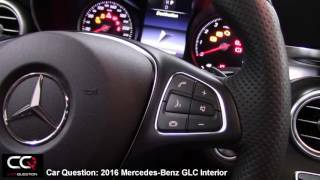 The interior of Mercedes Benz GLC 2016 takes a lap ahead of the predecessor model in terms of its design theme and features. There is enough space for the driver and passengers inside while the three-spoke steering wheel provides a firm control over the ride. Talking about the infotainment system there is a big screen sitting on top of the dashboard. Talking further about space the model offers you around 20.5 cubic feet of cargo space; however with its rear seats folded the space extends to 56.5 cubic feet. 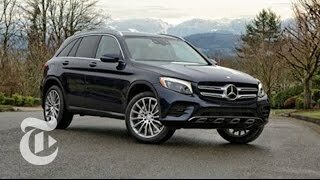 Thus rounding up the interior details of Mercedes Benz GLC 2016 I would say, it is a splendid amalgamation of luxury, space, comfort and tech. The exterior of Mercedes Benz GLC 2016 carries cues from the recently shared GLE Class 2016. In fact you can call this model as a smaller version of the sibling. However talking about the looks, it has been designed pretty well in comparison to the model it replaces. Starting with the front fascia you have the traditional grille with two solid aluminum strips running through it and carrying the brand logo in center. The headlights a broad and add to the sportier touch and further gets complemented with the massive air duct in the center of the bumper and two tiny ducts on either side, delivering fresh air to the wheels. Moving towards the rear end you can notice crisps over the gates and the same trend gets further carried till the rear portion. 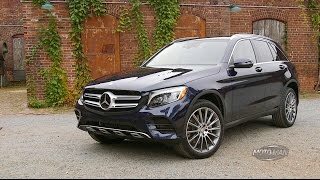 In all the exterior of Mercedes Benz GLC 2016 is both elegant and sporty with its new design theme. 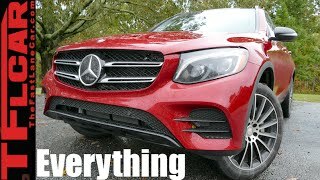 The Mercedes Benz GLC 2016 brings three powertrain options beneath the hood under three different variants, namely; GLC 220 d 4MATIC, GLC 250 d 4MATIC and GLC 250 4MATIC. Each of the variants produce total output of 170 hp, 04 hp and 211 hp respectively while the pea torque touches the mark of 400 nm, 500 nm and 350 nm respectively. Talking about the performance of Mercedes Benz GLC 2016, the 0-62 mph sprint can be knocked in just 8.3 seconds, 7.6 seconds and 7.3 seconds respectively.